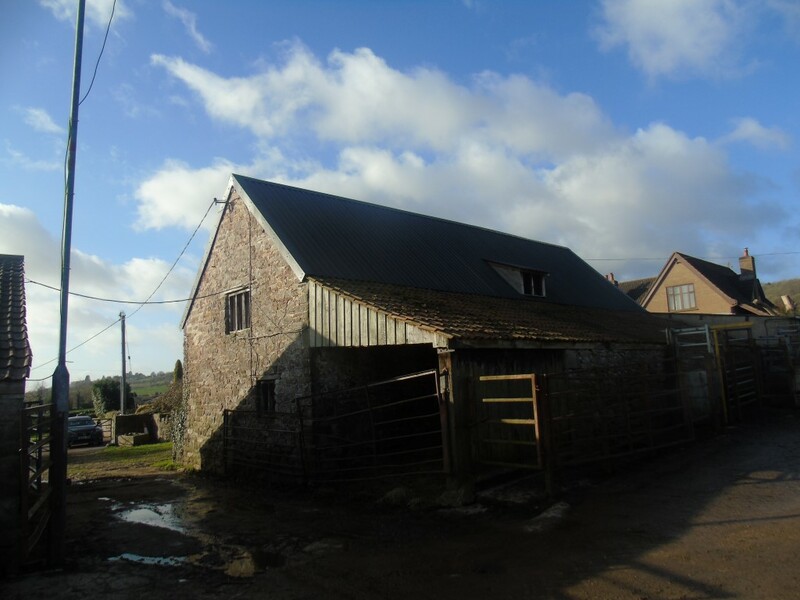 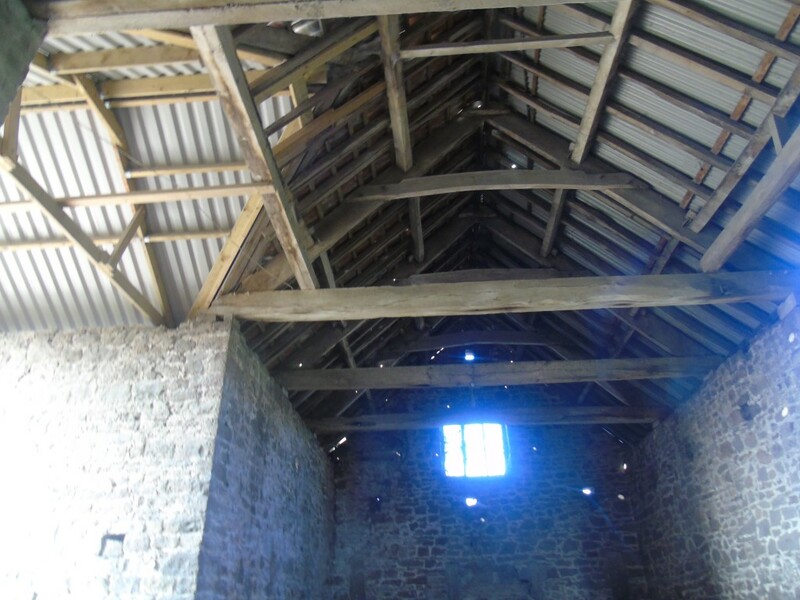 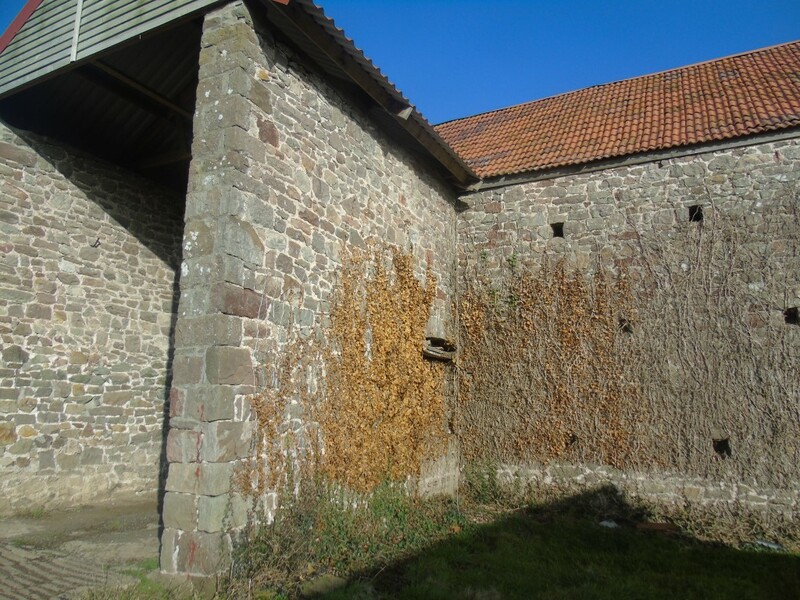 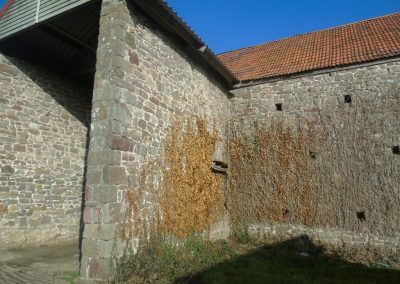 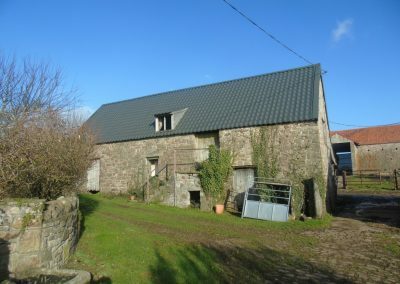 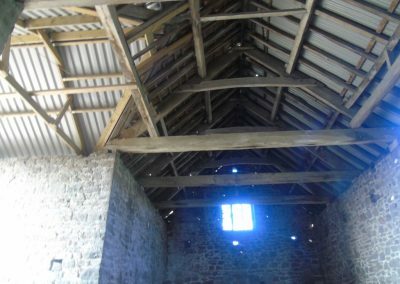 Work has commenced on a prestigious site near Chepstow. 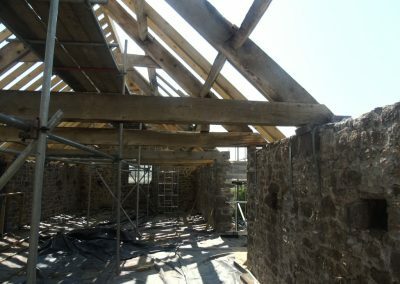 There are 3 redundant barn structures are being converted to luxury homes. 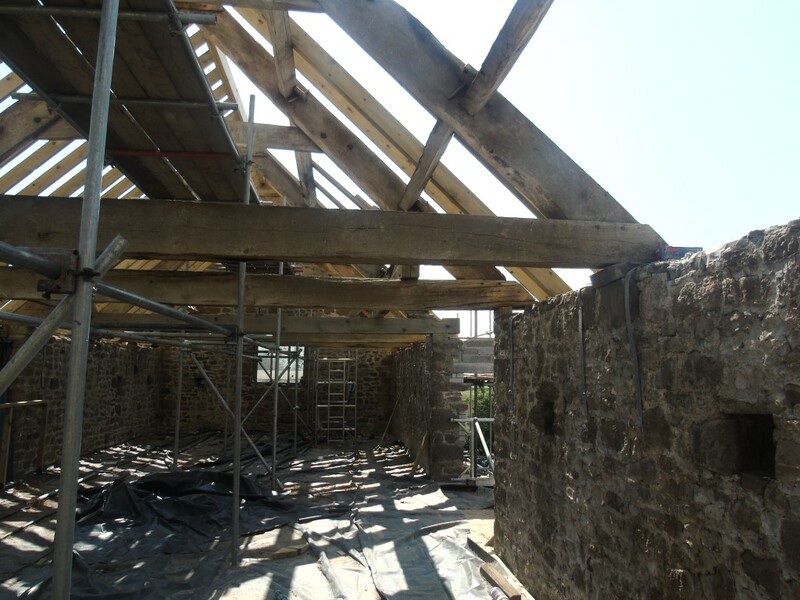 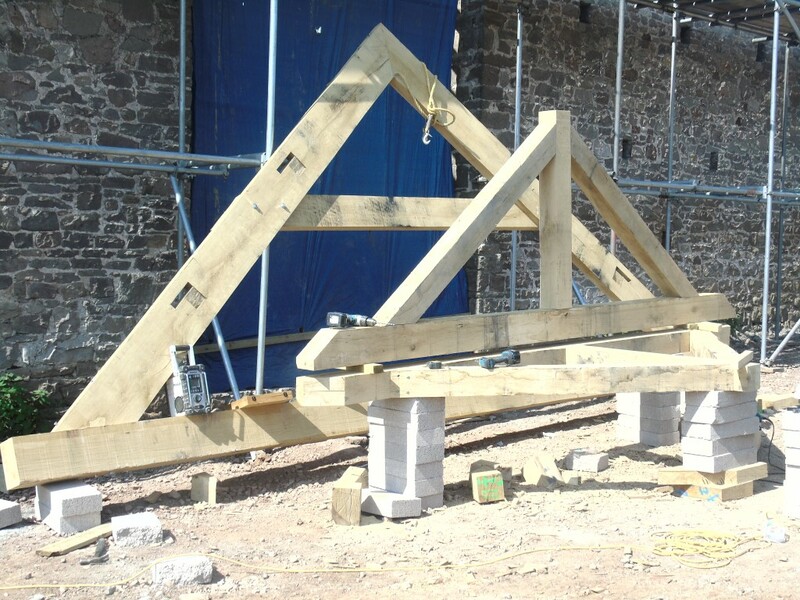 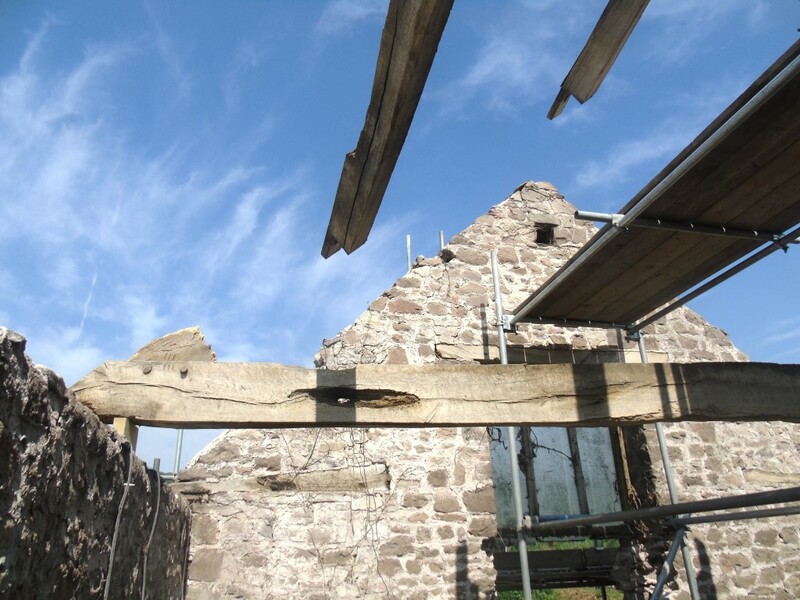 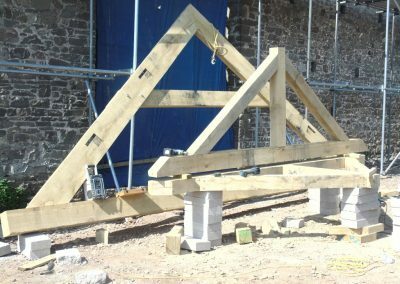 New green oak trusses manufactured on site to replace the rotten trusses. 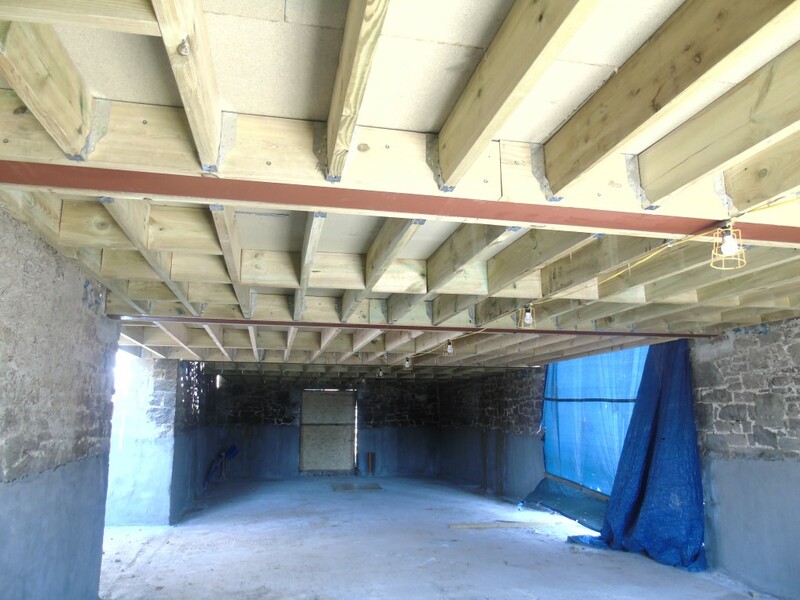 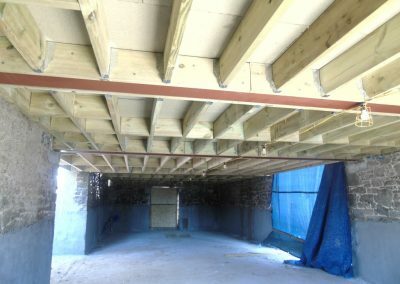 New structural floor beams and joists installed.